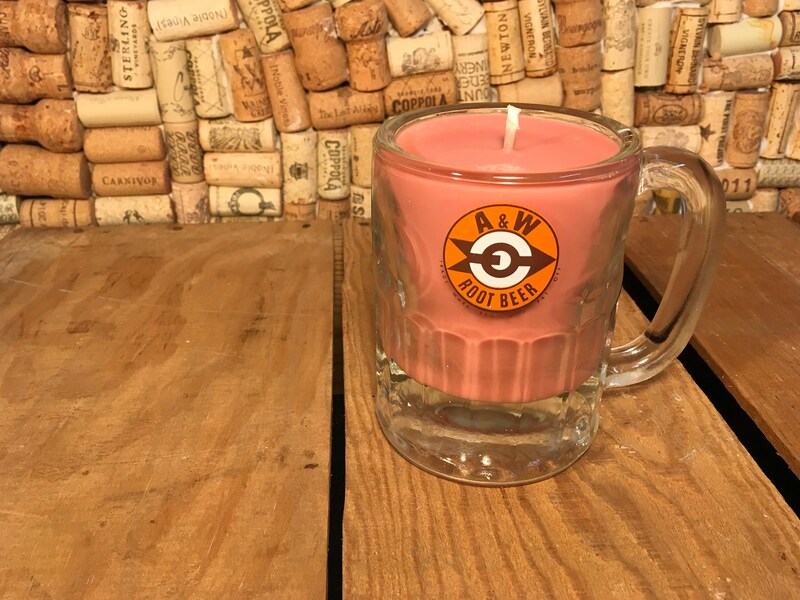 This is a soy candle in a vintage glass A&W mug. Pictured here is a brown tinted wax. The one I have left in stock has white wax. If you’d like a photo of the current one just message me. Thanks! 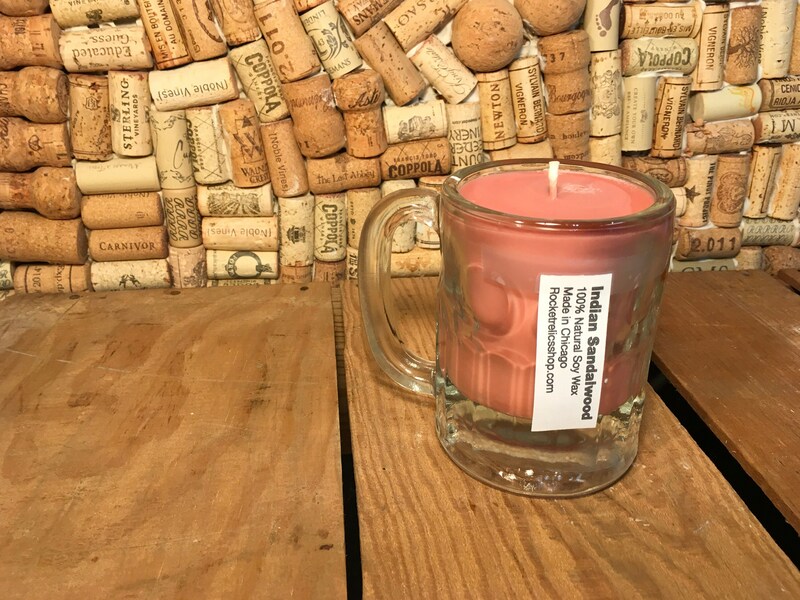 It is filled with premium soy wax in our Indian Sandalwood scent. Indian Sandalwood is a powerful, sweet, rich, woodsy fragrance. The cotton wicks we use are also self trimming.